Today Spanish quartet Hinds announce their long-awaited second record I Don’t Run. Out 6 April via Lucky Number, the new album shows a bigger, faster, and more dexterous Hinds. To celebrate the announcement, Hinds also share I Don’t Run’s first single, New For You, with a music video that sees the band dominate the football field. It features guitarist and co-vocalist Carlotta Cosials practically screaming “Sometimes I see myself and I can’t stand my show” before a pining chorus that sees her promise to be her best self. The new album is co-produced by the band and Gordon Raphael, and engineered by Shawn Everett, I Don’t Run is the product of a band fighting for their place, a band unwilling to rely upon their successes, a band who have just begun to prove themselves, and a band who plays hard but works even harder. I Don’t Run sees Hinds return in honest reflection on a period that changed their lives beyond their wildest imaginations. Since 2014, the band has been on a globetrotting run. They’ve never professed to being error-free, and they're all the more brazen for it having survived everything that’s been thrown at them: world tours, sold-out crowds, harsh criticism, sexism, and all that lies in-between. Hinds have become better musicians, tighter friends and tougher characters. 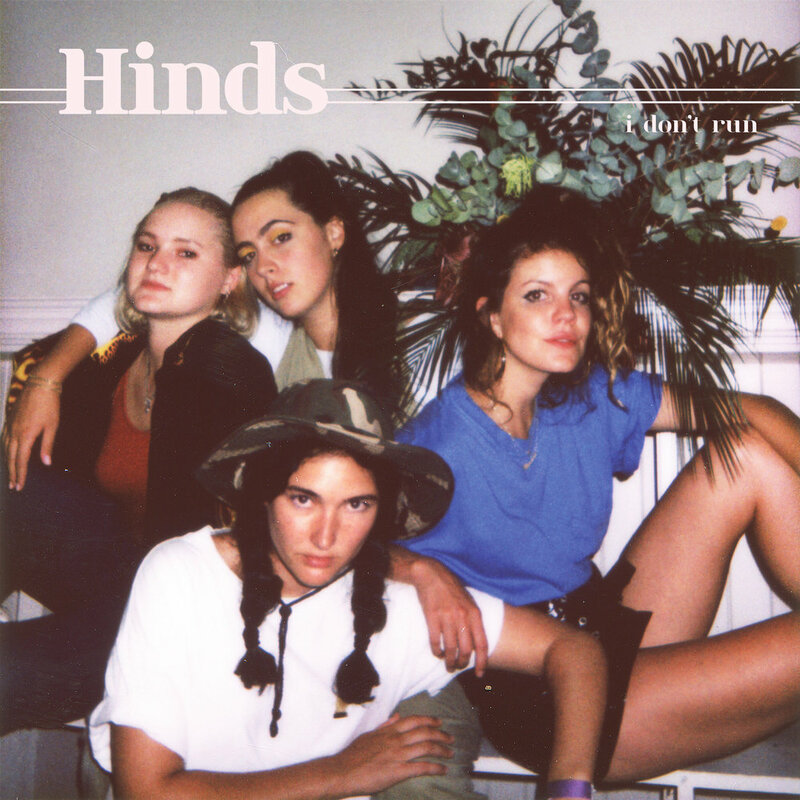 After everything they’ve overcome, one might think a band like Hinds would have second album jitters, but think again. Hinds are chomping at the bit and with defiant confidence. “We loved making this album,” says Ana Perrote. Hinds' second record I Don’t Run is out 6 April via Lucky Number and is available to pre-order now.